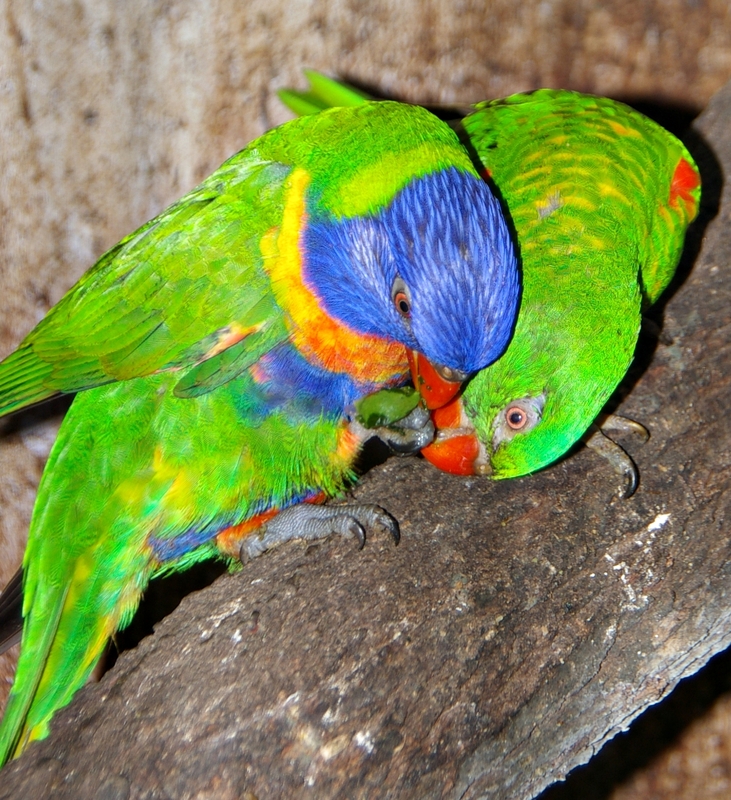 ‘Nature’s Palette’ – a lorikeet love story! Rainbow & Scaly. Love at first sight? I am thrilled to be able to bring to you ‘Nature’s Palette’, a written and photographic record by Trixie Benbrook of her ‘once in a lifetime’ experience observing the behaviour of lorikeets and the development of their young. Trixie is a like-minded environmentalist and wildlife carer, who also enjoys photography – which in the case of ‘Nature’s Palette’ proved not only enjoyable but highly challenging! I thank Trixie very much for her mammoth effort in producing ‘Nature’s Palette’, and for allowing me to use it on my site. (Access ‘Nature’s Palette” by clicking on the page link in the right-hand side bar).